COMPLETE 2008 | 2,455 S.F. 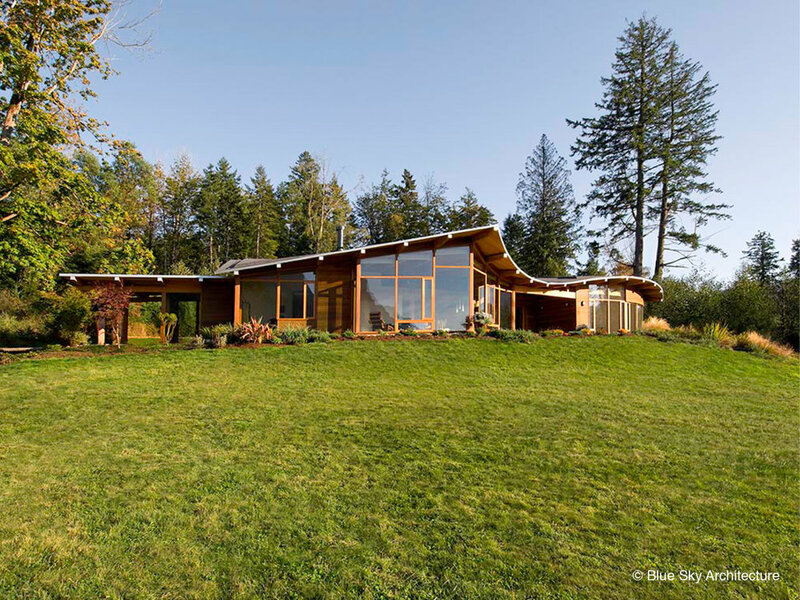 This home sits in a grassy ridge, overlooking a meadow on a historic Salt Spring Island farm. The peaked roof above the great room focuses the view at, and outlines the shape of nearby Mount Maxwell. Roofs undulate to form a hierarchy of spaces relating to the functions of rooms below. An outdoor room divides private spaces from social spaces. The main glulam beam curves through the house demarking the hallway. Balanced on a single post, it is a dramatic composition. The fireplace is clad in local white marble and is the central focus of the great room.